We were delighted to be appointed in 2015 by the Sulgrave Manor Trust to develop a project plan to accompany a bid to the Transition Funding programme operated by the Heritage Lottery Fund (HLF). Sulgrave Manor, Grade I Listed, is the ancestral home of George Washington, the first President of the United States. The Manor is set within the heart of the south Northamptonshire countryside, surrounded by a Grade II Registered Park and Garden and sits within the Sulgrave Conservation Area. The Manor is currently open to the public and visiting groups throughout the year and houses a museum, provides educational facilities and a wedding venue. 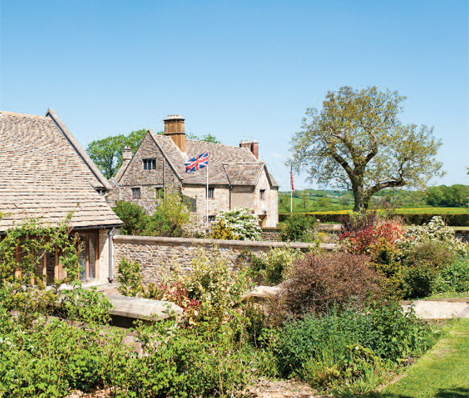 In 2014 the World Monuments Fund placed Sulgrave Manor on its ‘Watch List’. The Watch List identifies buildings / monuments around the world that are at risk based on the significance of the site, the urgency of its threat and the viability of a solution. The Trust is working hard to develop a sustainable model for the house and collections and the application for funding from the HLF will help this process. We developed a project plan and inputted to the funding bid based on comprehensive work undertaken by the Trust to better understand their assets and how to manage them. If the funding is secured the Trust will develop and start to deliver a number of transformational actions such as; a new business plan, heritage asset survey, marketing strategy and refreshed website.